We're hosting an all ages showing of the new ? 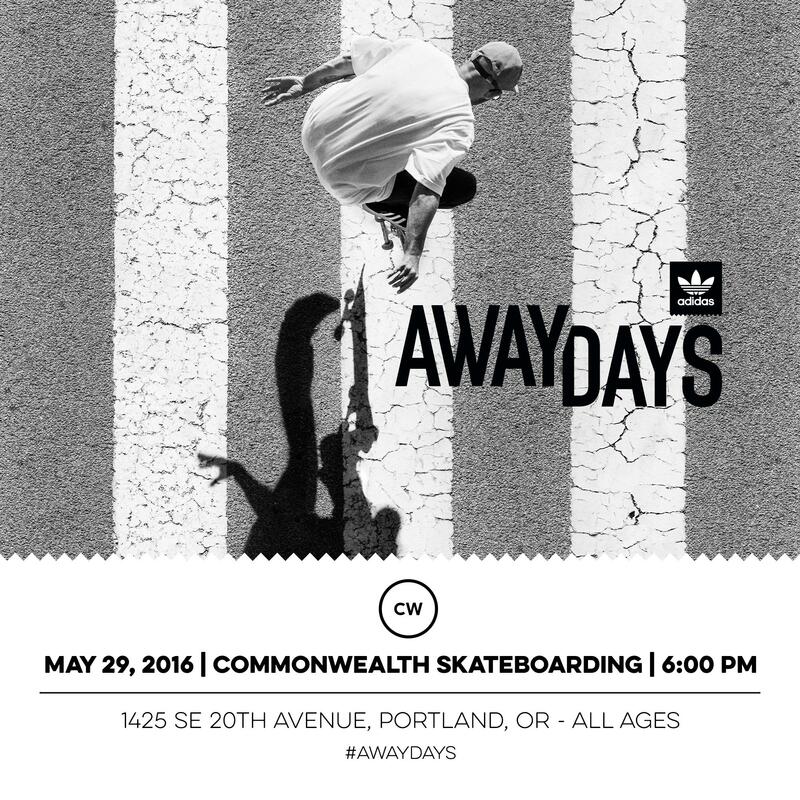 ?Adidas Skateboarding film AwayDays on May 29th at 6:00pm. ???? From now until the 23rd, we'll be giving out free gear for the best insta clips filmed at CW with the hashtag #GromsAway, including a couple of the AwayDays photo books, an invite to the PDX premiere on the 26th at the Alberta Rose Theatre, some kicks, etc. Bernie Shreds Stickers Available Online! Bernie's Shreds stickers are now available for purchase online via Stickermule! They're five bucks for a single, $18.00 for a five pack... Yeah, kinda pricey, but we only get $0.99 per sale. 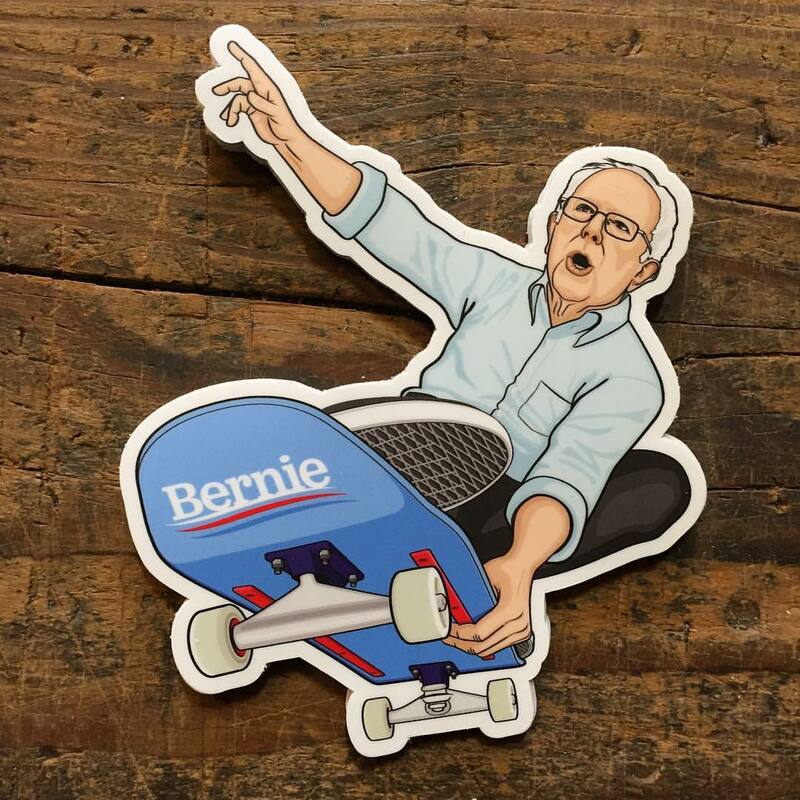 We'll be getting locally sourced Bernie Shreds stickers available in the skate shop for cheaper later this week, so if you're around PDX, you can save a bit coming in and grabbing one. If not, Stickermule will send one right to your door in far away lands. 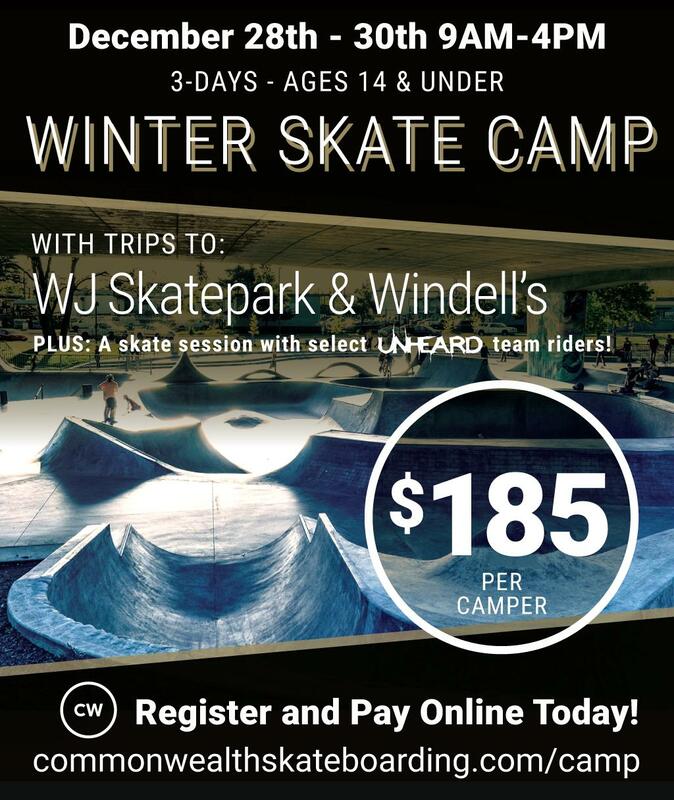 We're having a three-day kids winter skateboard camp from Monday December 28th through Wednesday December 30th with trips to WJ Skatepark in Eugene, OR and Windell's as well as a private skate sesh at Commonwealth with select Unheard team riders! Ages 14 and under. $185 per camper. Register online today! Spaces are filling up fast! 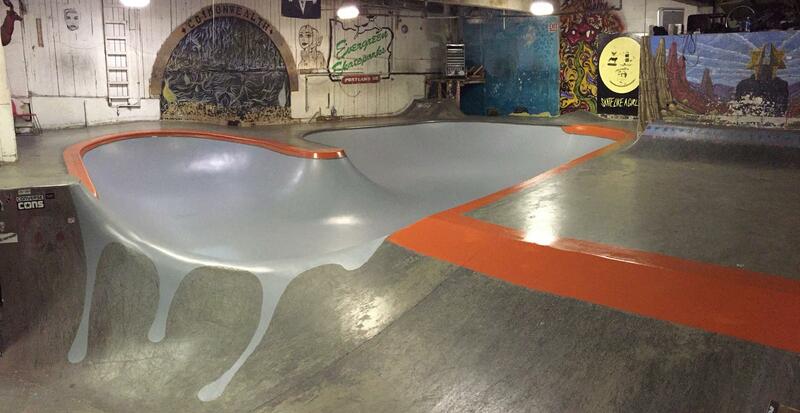 If you haven't been into the park in a while, we just threw down a fresh coat of paint in the bowl and painted the coping for a much stickier skate surface. This will be part of a regular surface re-paint schedule we're implementing that will keep the pockets and features nice and grippy through the winter and beyond. 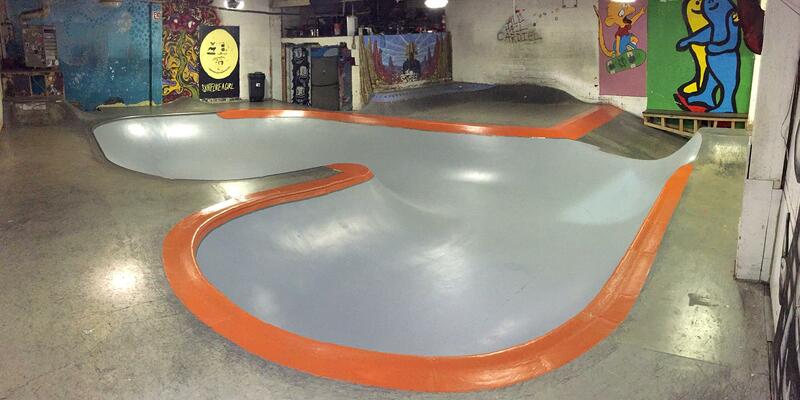 Come on down and rip it up for $7 bucks.